Spectacular Home with a Casita. 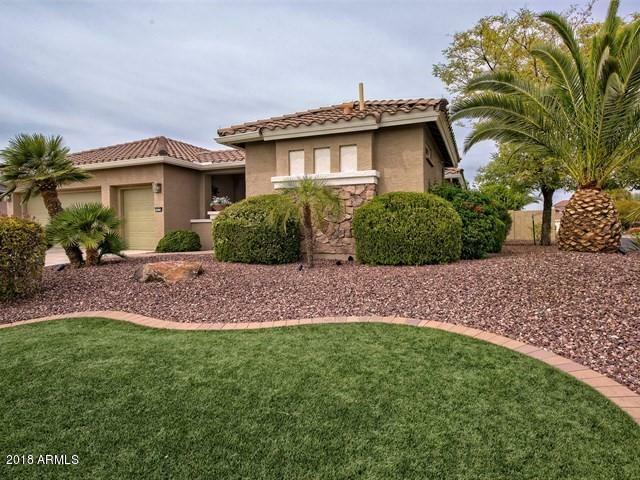 Exquisite Stone Exterior, Courtyard, 3 car garage on a Large corner lot, elegant landscaping + artificial turf. GreatRoom with Fireplace, upscale kitchen Patio + extended pergola for shade & pavers. Available fully furnished, elegant furnishings inside + patio furniture &. Turnkey with art, decorator items. Automatic interior shades & Automatic exterior screens, upgrades Galore. Great Room design, Extended master suite, Chefs Kitchen with center island plus casual dining room. The Casita has 2 twin hideabeds & a full bathroom. The den has a full wall cabinet in addition to a desk & entertainment center. The extended master overlooks the back yard. The Large back yard has an extensive covered patio in addition to an open area patio, automatic screens.